There might be no greater rivalry in sports than the Red Sox – Yankees. Boston is known for its sports and it’s a viable topic, even for stations targeting women. The key, always, is what you do with the topic. Just chatting about it or doing X’s and O’s won’t fly with most audiences, even listeners to sports radio. 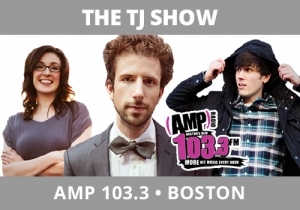 Each year when the match-up happens at Fenway, The TJ Show, AMP 103.3, Boston, does The Yank Prank where they head to the park to find Red Sox fans who’ve had a little too much to drink to record their enthusiasm for the team. They then ask that person to read a card, which at one point, becomes very pro-Yankees, just to see what the reaction is – and it’s usually quite funny once they understand their allegiance has changed. Listeners love payoffs and this twist hits every image: it’s fun, authentic, very innovative, and relevant for Boston audiences.